Since 2015, Big Herz has been on the come up and hasn’t slowed down yet! Rapping out of Daytona Beach, Florida, and with only 2 years in, he has made a huge impact on not only himself, but also within the confines of his city, and, his place of employment as a Correctional Officer. “CO by day, rapping by night,” one of his favorite sayings being, and the crazy part is, he’s extremely open about it! Josh Herzog (also known as Big Herz) was born out of Tacoma, Washington. By the time he was 4, his family had decided to move to the sunny beaches of Daytona Beach, Florida. Herz was always into sports, although the athletic ability was never quite spectacular, he never was denied of playing any sport. Straight A’s student, go-lucky personality, he felt on top of the world, until August 23, 2003, when his life made a complete 180. His youngest brother, Nicolas, was struck down in the middle of their street by a drunk driver. He was only 5 years old. “One of the biggest, but yet confusing inspirations towards my music is my little brother. Music was never really in Big Herz’ interest growing up. Of course, listening to music before games, or for the downtime was always an escape. But only in 2008 did he really start listening to the hip-hop/rap genres. and it wasn’t until 2015 when Herz decided to begin rapping himself. “I was going through a tough time, just had a huge breakup and just needed to escape for a bit so he went to see my dad and brother in December of 2015 down in West Palm. One night while I was down there, my brother kicked on an instrumental to try rapping to. One of the first ones he put on, I instantly fell in love with and knew I had to put something to it. I stayed up all night writing to that beat. I showed my brother what I had down, and he was just appalled. Ever since that moment on, I never stopped writing.” Herz has over 200 songs (half unrecorded) in his arsenal and to this day is continuing to grow. On April 14th, 2018, Big Herz released his debut major project, “DOUBLE LIFE EP”. “This mixtape is a reflection on what its like to see what I see from both views of being a CO, and a rapper. It reflects on what I see on a day-to-day basis at work, at the studio, what I’ve been through, thoughts on life, basically everything you could think of. 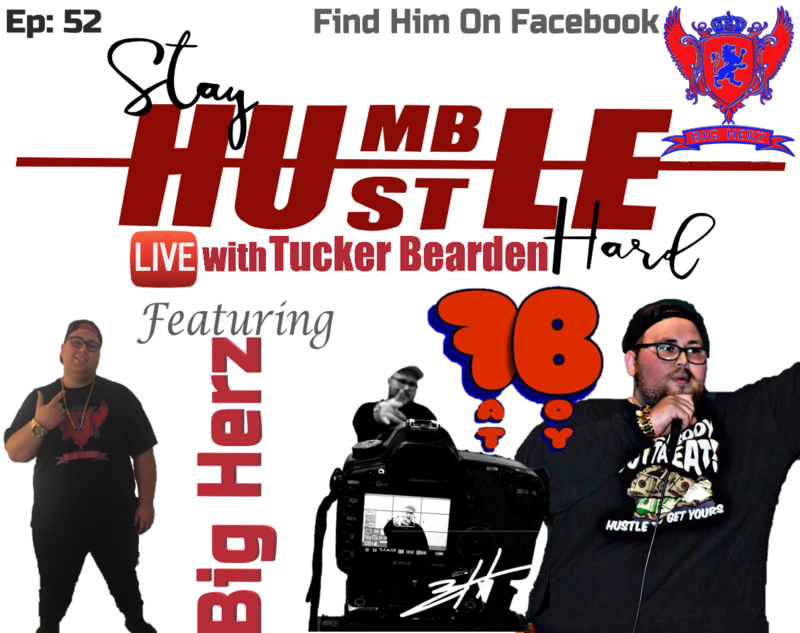 You can stay connected to Big Herz via Facebook, Twitter, IG, SoundCloud, etc. for the latest news, updates, shows, and new music. The only way from here is up for this Daytona Beach local rapper, and don’t be surprised if you see him with the big dogs in the near future!